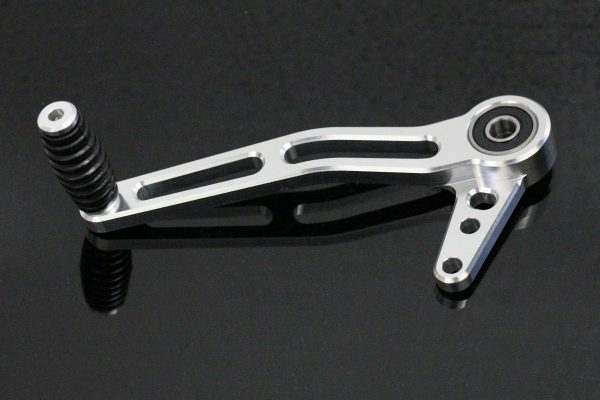 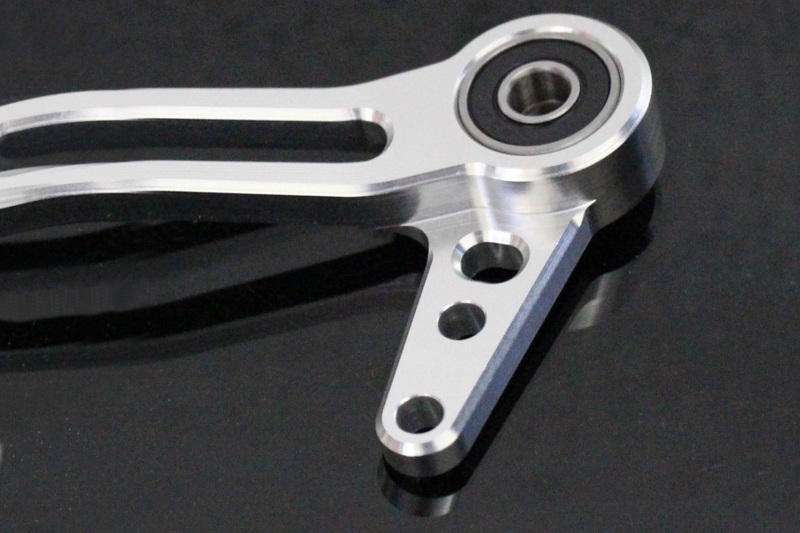 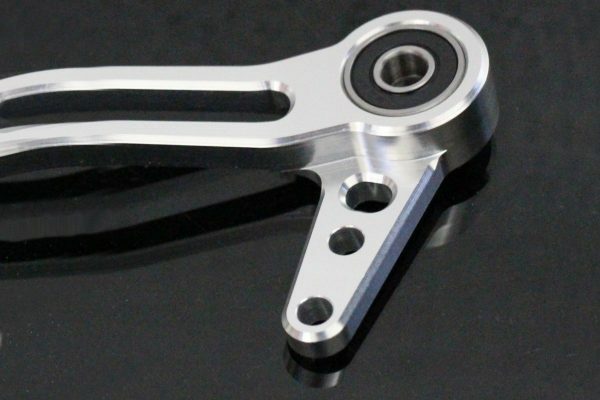 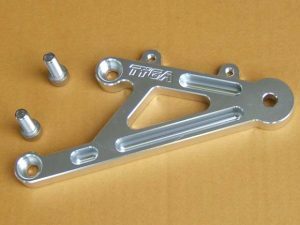 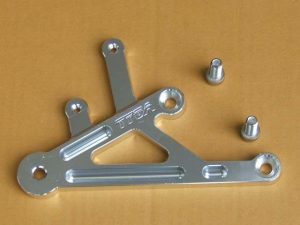 Special replacement gear lever for your TYGA Step Kit. 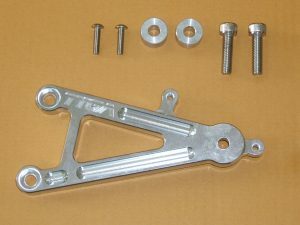 Includes an extra mounting hole for the rod end for a different ratio. 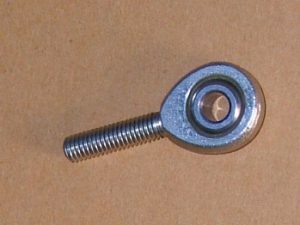 Compared to the ‘standard’ mounting hole, which is identical to STAL-0002, this additional hole will give a softer feel to the gear change, but requires more movement of the lever.